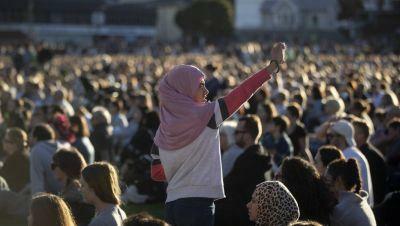 Thousands of people gathered in the Basin Reserve in Wellington for the Christchurch Mosque shooting vigil showed New Zealand's inclusive face. But there is a dark underbelly. The Internet have excelled themselves as well, but not in a good way. 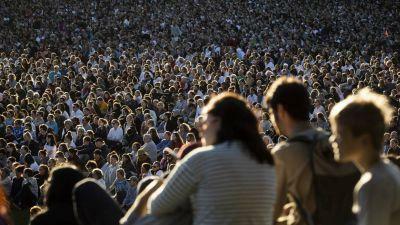 It took Facebook at least an hour to block the images uploaded by the killer as he went about his brutish slaughter. Country wide and world wide revulsion towards him and his Hate criminals does not obscure the fact that the Internet feasts on and spreads and magnifies disgusting travesties of inter-racial unease. Muslims are often represented in our media as intolerant, violent, sexist and extremist. This week showed us they are nothing of the kind, that they have been dreadfully wronged, and that we are all, in a sense, complicit in those distortions. 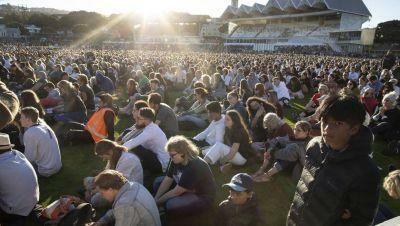 Part of the grief on show was because we have realized this through the events in Christchurch mosques. Our outdated gun laws, our misdirected security intelligence apparatus, our mute tolerance of racism experienced regularly by our non-white citizens, it's all there. Martin Cocker of NETSAFE (Now there's a misnomer, where in the world is there a place which is less 'safe' than the Internet, from Bullying, Sexual harassment, Hatred and Racism, and every other seamy underside of humanity?) declared that we couldn't do anything internationally to contain internet trolls without blocking opportunities for genuine protest and freedom of expression (see Dompost 22 March 2019). This is a counsel of capitulation to evil. We need to be really clear that there is no relationship whatever between Freedom of Speech and Hate and Race rhetoric. We need to be really clear that any Freedom we enjoy, of Speech, Worship, from Fear and Want, has always and must always be contained and restrained, when they limit the Freedoms we all have a right to, to enjoy Life, Liberty and the Pursuit of Happiness. There is no such thing as unlimited Freedom to do and say exactly what you like. There is no Freedom to perpetuate Hate or Racism or the unfounded fears of those different from ourselves. There has to be the facility to put up a Red Flag and say "No, you can't say that". The EU and the UN need to act in unison, as New Zealanders have done in their hundreds of thousands this week, and stop the horrors currently allowed on Facebook, Twitter, Instagram and the like. We must act internationally against the perpetuation of lies, deceit and the promotion of mad ideologies, not seen around the world in their current iteration on the Internet, since the rise of Nazi Germany. 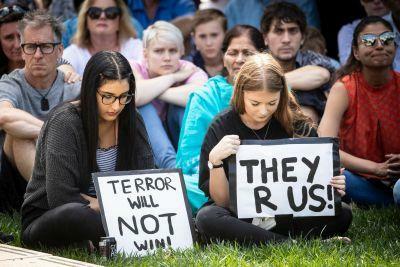 In this, the ordinary Kiwi's compassion and sympathy, shown publicly in the last few days, have been not only New Zealand's Darkest Hour, with what took place in two Christchurch mosques on Friday 15 March last at 1.32 pm, but also, in the subsequent days, with vigils and flower walls outside every mosque in the land, and large and diverse public protest gatherings, New Zealanders' Finest Hours.